It’s the time of year when there is a chill in the air. 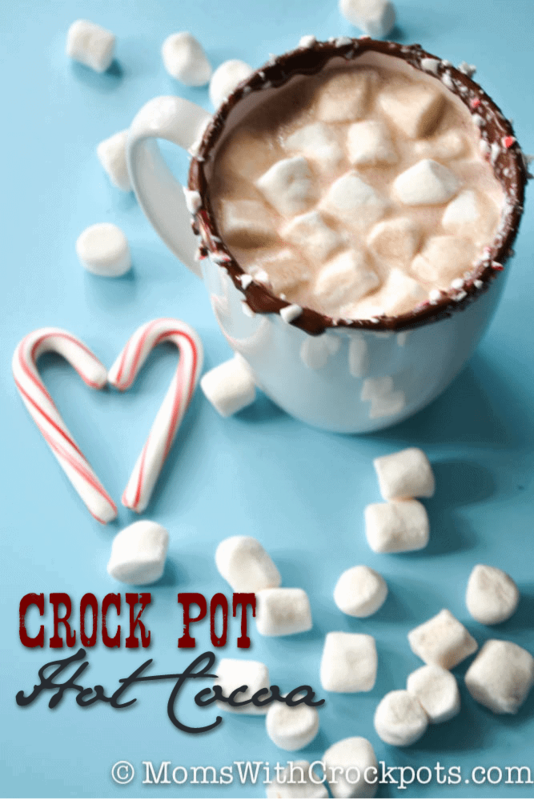 If the kids come in from outside with cold cheeks and noses warm them up with a cup of this Crock Pot Hot Cocoa. It is a winner with everyone! Add all the ingredients to your crockpot and stir until the condensed milk is well blended into the mixture. Cover and cook on low for 2 hours. Open and give it a stir every 30 minutes. 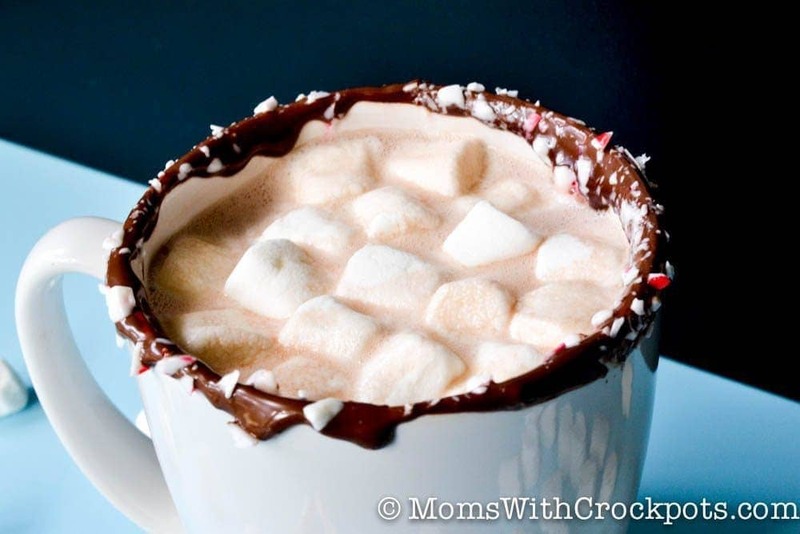 Makes about 12 (1 cup) servings. Turned out to be delicious! The only problem was an unsightly chocolate “skin” that formed on the surface… kind of like what happens to pudding. But it tasted great. I’m saving this one! Thanks again. This recipe looks great – I was just wondering what size of crock pot you used?